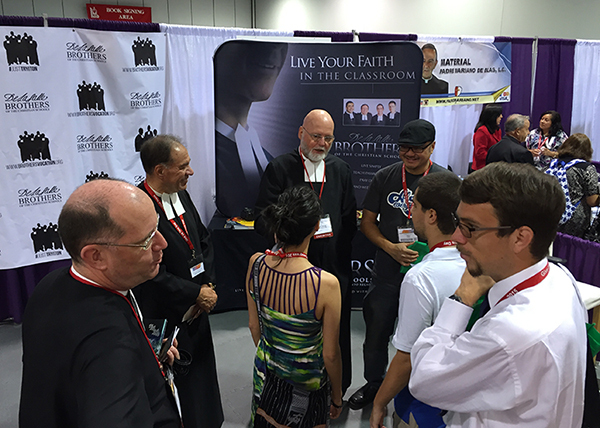 The 2015 Los Angeles Religious Education Congress brought together a diversity of Lasallians in Anaheim, California, March 12 – 15, 2015. Brothers, high school and college students, alumni, Lasallian Volunteers alumni, and Lasallian educators from around the world participated in the event, which is the largest annual gathering of religious educators, teachers and youth ministers in the world. 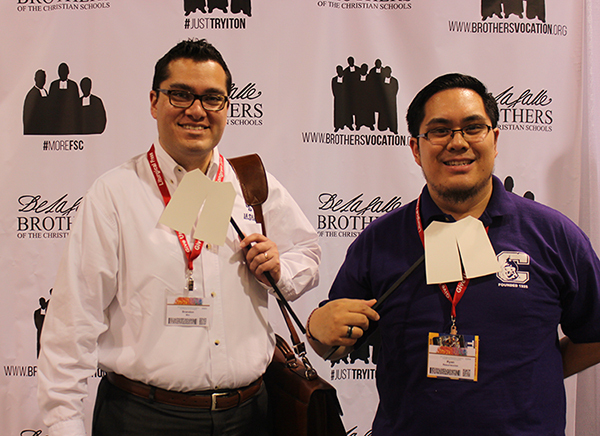 The Regional Vocation Formation Committee had a booth in the exhibit hall promoting and providing visibility for the De La Salle Christian Brothers’ vocation, Lasallian Education, and the Lasallian Volunteers. Brandon Birr, Dean of Students at La Salle High School, Pasadena, and Ryan Resurreccion, Director of Campus Ministry at Cathedral High School, Los Angeles. Courtesy Brother James Joost, FSC. “Our Lasallian Vocations exhibit booth became a gathering place for Lasallians, as we had an opportunity to raise the profile of the Lasallian educational mission to more than 30,000 participants of this three day event,” said Dr. McCarty. Saint Mary’s Press also had a booth at the event across from the vocations booth, which contributed to the Lasallian presence.